unique Veloster model for years to come. "Veloster Re:Flex Edition builds on the success of the 2013 Veloster Re:Flex Edition," said Scott Margason, Director, Product Planning. "Veloster customers desire limited-edition models with even sportier styling, unique features and exclusive colors that allow them to stand out from the crowd and that is exactly what Re:Flex Edition delivers." Veloster Re:Flex features black or red full leather seating, projector headlights with LED headlight accents, LED taillights, illuminated door sills, 18-inch alloy wheels with a PVD chrome finish, chrome hood accents, chrome door handles and Re:Flex badging on the exterior and floor mats. Other standard equipment on the Re:Flex is borrowed from the popular Style Package including front fog lights, piano black interior accents, a 450-watt Dimension premium audio system with eight speakers including a subwoofer, leather-wrapped steering wheel and shift knob, alloy pedals and an automatic up driver's window. As with all Velosters for 2014, a rearview camera is now also standard equipment taking full advantage of the standard 7-inch multimedia touchscreen display. In addition to the Re:Flex-exclusive ice pearl paint, the Veloster Re:Flex is available in century white, vitamin C, ultra black, and boston red. 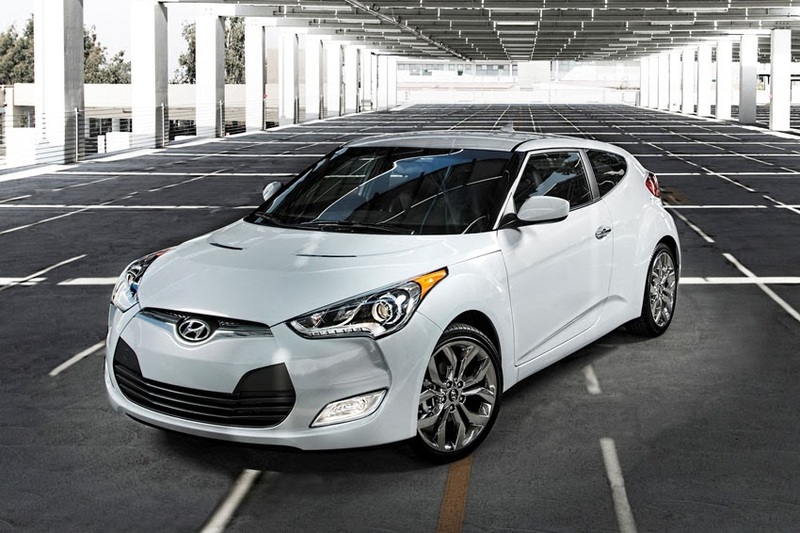 All Veloster Re:Flex models use the Gamma 1.6-liter, four-cylinder engine and six-speed EcoShift dual-clutch transmission.